Instagram now allows its users to post photos from the web version of their site, but only using a smartphone or tablet. 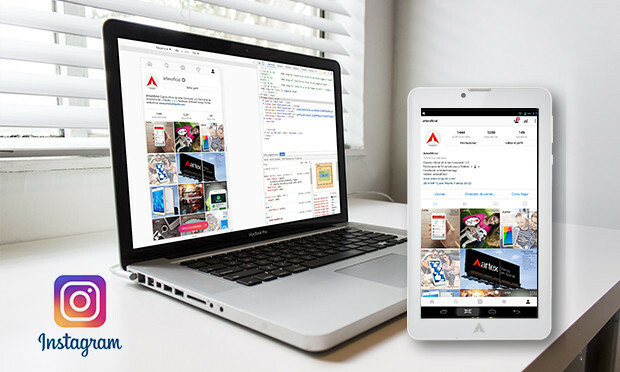 Until now, the web version only allowed the users to follow, search, view notifications and add “like”, also has increased the functionality of the mobile web adding the possibility of using it offline. When you enter the web version of the platform, you will see the activated icon to add photos and just follow the same steps that you do in the application. 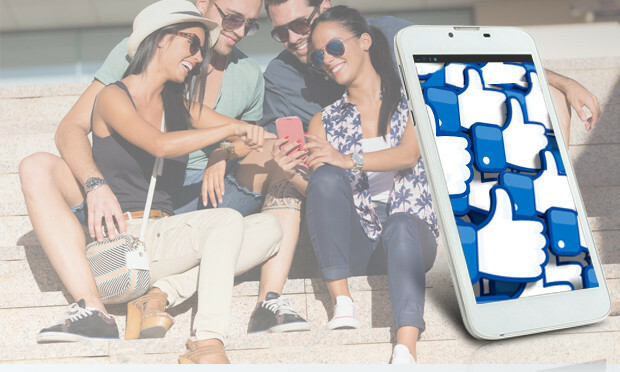 There are some features that are currently not present in this version, such as the possibility to upload videos, add filters, create Stories or message through Instagram Direct, functions truly attractive to consumers of the subsidiary company of Facebook that, most likely, will be Added in the not too distant future. Through the mobile web version, users no longer need to download anything and do not have to depend on the available storage to use Instagram’s basic functions. In addition, the registry of new accounts has been incorporated from the web itself and a better flow has been favored for the users of Android phones of low range (typical in emerging markets). In fact, users no longer have to download anything or depend on the storage available to use the application. There are over 700 million monthly active users on Instagram, the vast majority in countries with slow connections. 80% of users of this social network are outside US borders and in most of these countries there are no mobile networks fast enough to download the app, and in many cases the devices do not have a large storage capacity to store it without sacrificing other apps or content. 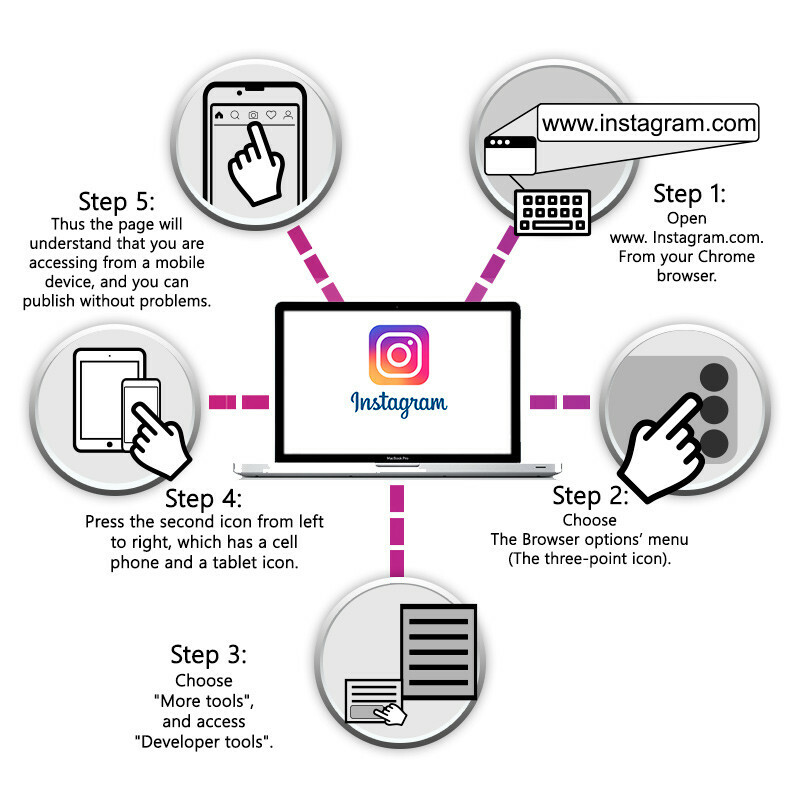 In addition, the amount that can be generated by downloading Instagram can be prohibitive. In Chrome open www.instagram.com, select the browser options menu (the 3-point icon next to your address bar), there select “more tools”, access to “tools for developers” and then in the part (Ignoring the code displayed), press the second icon from left to right, which has a cell phone and tablet, so the page will think that you are accessing from a mobile device, and you can publish without problems. Facebook announced in its first quarter of 2017 presentation of results, so far this year the average was 1.40 billion monthly users. A quarter of the world’s population is on Facebook. Nearly 2 billion people used the social network created by Mark Zuckerberg actively in March 2017. According to the company, more than 90% of these access the platform from mobile devices (tablets and smartphones). Facebook connects monthly a number of people equivalent to the populations of India, United States and Indonesia together. For a few weeks, Facebook has focused its efforts on improving the platform and on how to prevent the spread of violent videos or fake news in its network. In a statement issued Wednesday, the company based in the Californian city of Menlo Park announced that it will hire 3,000 people next year to expand the department that is responsible for monitoring reports of violent acts that are published in the Platform, the new workers will join the current team of 4,500 employees who supervise this type of complaints. “We are working to make it easier to report these videos to take action, either by responding quickly when someone needs help or by blocking them,” Zuckerberg wrote in his Facebook profile. The social network is working to become also a place where you can watch TV. Facebook joins the list of technology companies that are producing their own content. The social network will launch approximately 24 own programs in the middle of June of this year. The head of this new strategy of exclusive programs is Ricky Van Veen, hired by Facebook in December and co-founder of CollegeHumor, a site that collects the funniest things on the Internet. Other reports cited by the source say that the social network also wants to stream MLB baseball games. Facebook, as it has published “Business Insider”, is producing its own series and “reality shows” to start broadcasting from June, some programs will be long with large budgets, similar to those that are currently on television, the company also Wants to produce shorter (and less expensive) programs of five or ten minutes that would be “recharged” every 24 hours. The company of Mark Suckerberg has already approved a series of media company Conde Nast. This is a reality show where people are dating using virtual reality before meeting in person, the company has also talked with more established producers and Hollywood stars to collaborate on these contents. Users will be able to view the programs in an updated version of the video section on the social network. Self Repairing Screens: ¿The future of mobile devices?